Students improve the art of communication in the first quarter with writing and performing simple introductory speeches. Students acquire the skills to write and present a three to five minute speech on a topic that interests them. Students learn how to deal with stage fright. During the second quarter students delve into the Dramatic Arts by preparing (learning lines, blocking, etc...) and performing a thirty minute Children’s Theatre Production at a near-by child care center. This course begins with an over-view of the History of Theatre and takes a look at playwrights through the centuries: Euripides, Shakespeare, Noel Coward, Tennessee Williams, Lorraine Hansberry, and Neal Simon, to name a few. 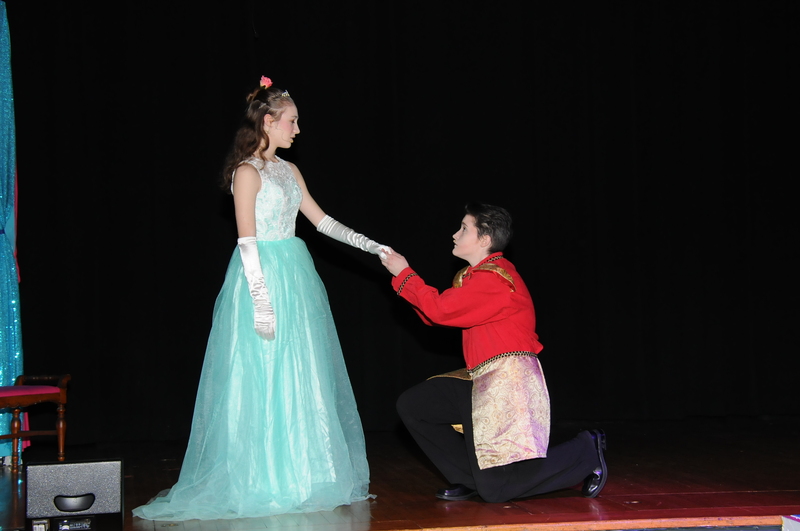 Students explore pantomime, improvisation, and scene-work. The culmination of the class is the presentation of a five minute scene from a play of the student’s choosing. This course teaches elements of theatrical production, including set design, color coding a scene, costuming and make-up, light designing and how to operate a sound board. Students may run the backstage crew for our theatrical productions. Students look into the history of women on stage, in play writing, and on film. This course encompasses women’s roles in theatre from earliest theatrical shows to modern day. Students examine how and why women’s roles in theatre have evolved. Students research women who were instrumental in changing the face of theatre for all women. 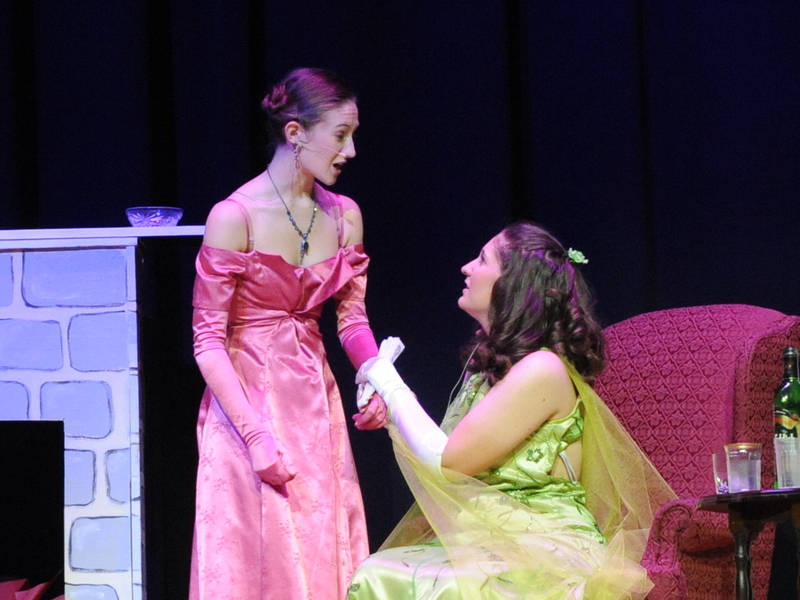 Students learn how to go deeper into the acting process, by connecting their own experiences and emotions to the characters they portray. Students use the Stanislavski method and learn how to create a sub- text for stage characters. 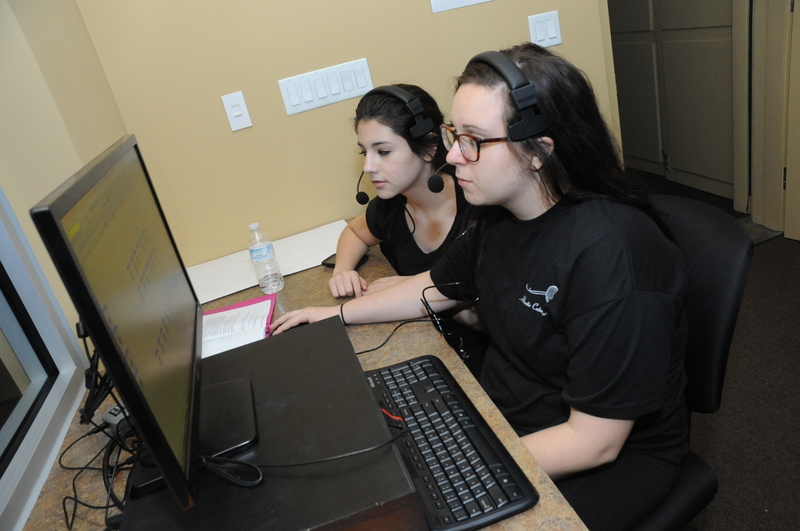 Students learn vocal exercises to help them project and enunciate on stage. Finally, students apply what they learned by directing their peers in short scenes. This course combines learning styles of famous choreographers including Gene Kelly, Ginger Rogers, and Bob Fosse. Students learn techniques to create their own dances for performance. Then they create dance steps with the help of a guest choreographer. We have a new state-of-the-art production booth with new lighting and sound in our Auditorium! Twice a year, the theater students travel to Good Samaritan Hospital's Child Care Center, to perform their productions. For our spring musical, "The Sound of Music", Mattie Miklochik was nominated by The Baltimore Theater Awards for Best Supporting Actress. Julianne Schallmo won Best Sound Design and Best Special Effects. Grace DiLorenzo won the award for Best Props! Alumna, Katie Gerstmyer '15, helps choreograph for our theater productions. Click here to read about Katie.